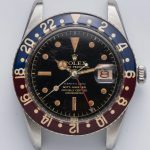 This is a very rare specimen of a 1950s Rolex GMT reference 6542. 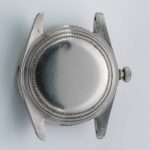 The dial has „Serpico y Laino“ written on it. 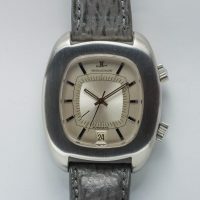 Serpico y Laino is a Caracas Jeweler who has been revived but was originally founded by the two gentlemen carrying the names of Serpico and Laino. 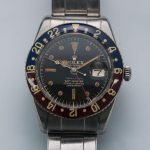 The company was a Rolex authorized dealer founded in 1925 and operated until 1966. Decades later the dealership was revived. 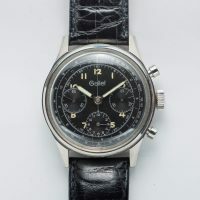 Watches with this print on the dial are not only rare, but highly coveted by collectors. 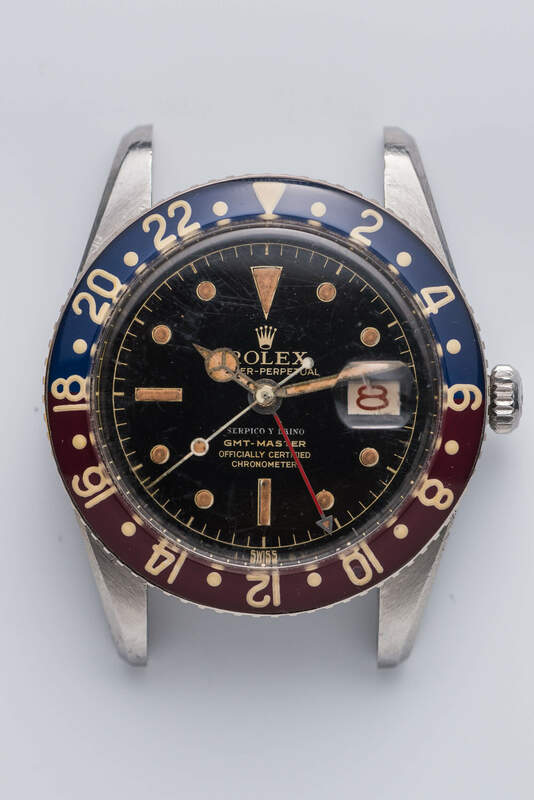 This is an original dial which has not been manipulated in any way. It is not redone, not reprinted, not relumed. It is as original and authentic as it gets. Considering its age, the condition is adequate. There is spider webbing which is further proof of its originality. 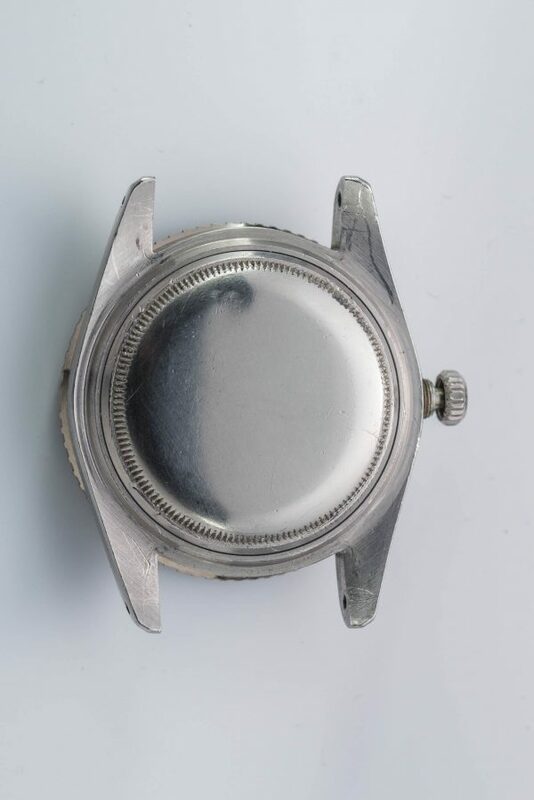 A dial that is about 60 years old will not look new any more. 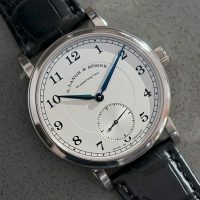 The patina is stunning, the whole watch looks wonderful and truly amazing. 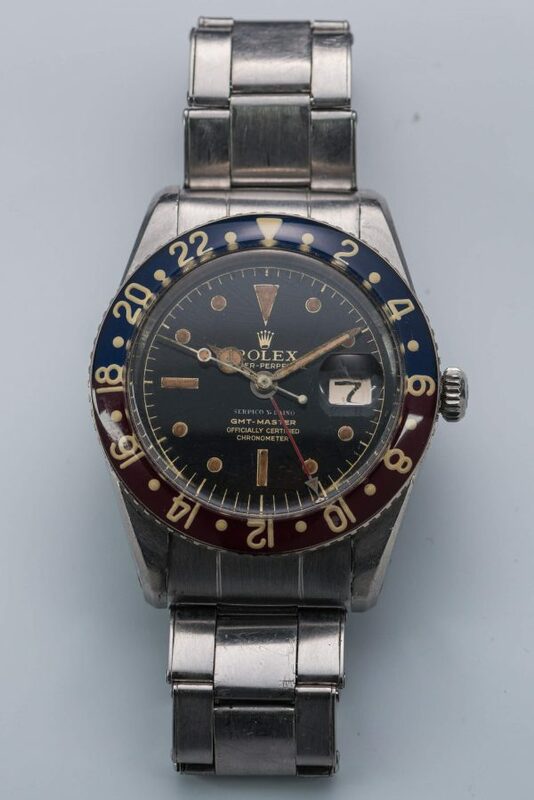 It comes on a Rolex steel bracelet. The original bakelite bezel cannot be found by the heir of this watch. Therefore, an aftermarket bezel which looks quite good was installed. I prefer this bezel to an aluminum bezel. For more history on Serpico y Laino, this is a wonderful read up on the story. 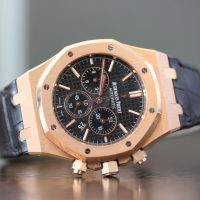 Slightly used Audemars Piguet Royal Oak 18k Rosegold Chronograph fullset.